By now, you’ve likely read all about the benefits of drinking lemon water, and maybe even about the benefits of lime water. 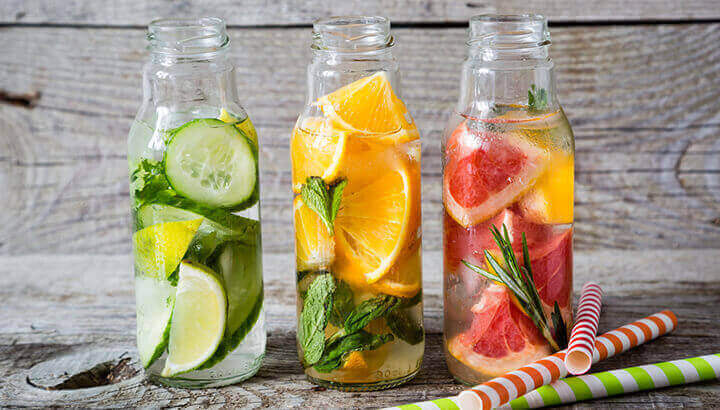 You may be thinking… what about adding other citrus fruits to water? It’s an excellent idea, and a healthy one. Each citrus fruit has a unique profile of nutritional benefits and antioxidant groups, and they all could make a great addition to water. For those looking for something a bit sweeter than lemon or lime to add to their water, how about orange? To aid in your water-enhancing decision, the following are nine benefits of drinking orange water. Note: I’m referring to both the fresh juice, and the grated peel… you don’t want to miss the goodness in either one, so be sure to add both! Orange water contains many nutrients including vitamin C.
You probably already know that oranges are very high in vitamin C. These fruits are practically the poster child for this important antioxidant vitamin. The peel of an orange actually contains nearly twice as much vitamin C as the flesh — another reason to use orange zest in your water! Along with vitamin C, oranges contain vitamin A, vitamin B1, pantothenic acid, folate, calcium, copper and potassium. Orange peels are also a great source of fiber. On top of that, these fruits are loaded with antioxidants and volatile essential oils. The high vitamin C content of oranges equate to very good news for your immune system. This is because, as many of us know, vitamin C is one of the most powerful vitamins out there for supporting optimal immune system function. 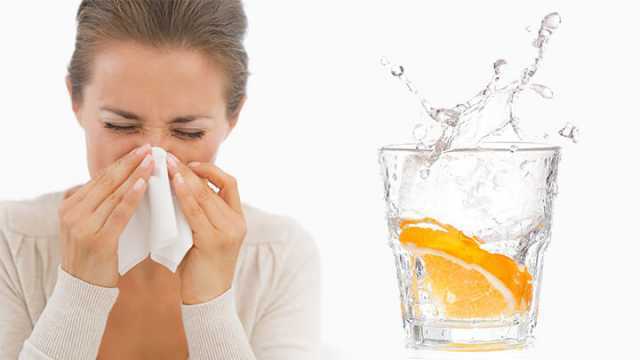 Eating oranges, or drinking oranges in your water, around cold and flu season may help to protect you from those nasty bugs. It may also help to prevent ear infections from recurring. Additionally, orange contains numerous flavonoid antioxidants, including anthocyanins, hesperetin and naringenin, as well as polyphenol antioxidants. All of these antioxidants help to combat inflammation and boost your body’s defenses even further. The vitamin A content in orange water may improve your vision. The beta-carotene found in oranges is an antioxidant that becomes vitamin A in the body. This vitamin, among its numerous other benefits, may help to protect your vision, especially as you age. Eating oranges and other foods that contain beta-carotene may also help you to see more clearly at night. Vitamin C is instrumental in your skin’s production of collagen, the substance that keeps your skin supple, smooth and youthful. Thanks to this powerful vitamin, drinking orange water on a regular basis can help keep your skin looking vibrant and young. Since vitamin C (and the other antioxidants found in oranges) help to fight inflammation, you may also see improvement in inflammatory skin conditions such as acne and eczema by drinking orange water on a regular basis. Oranges can help to protect your heart, and your entire cardiovascular system, for that matter, in a number of ways. First of all, they’re high in fiber, which is important for the optimal functioning of the cardiovascular system. Secondly, oranges contain flavonoid antioxidants including hesperidin. These antioxidants have been linked to lowering blood pressure and cholesterol, lowering inflammation and protecting the heart. On top of that, the limonoids found in oranges and their peels have been linked to aiding in destroying cancer cells. So, there’s a whole lot of anticarcinogenic activity to be found in oranges. Orange peels have been found to have both anti-inflammatory and antihistamine properties. Therefore, eating them (or drinking them in water) may help to soothe allergy symptoms, especially over time. 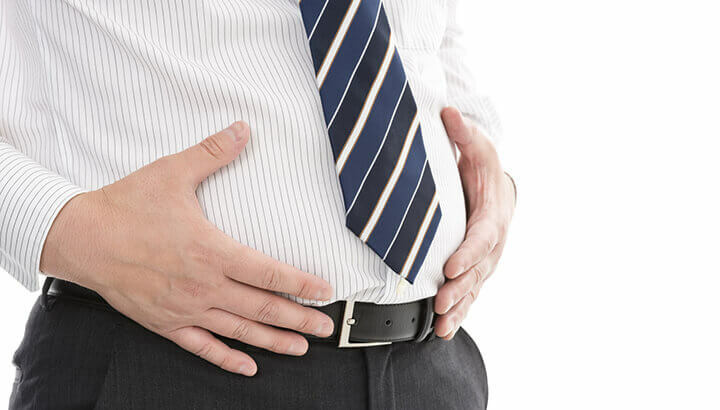 The fiber in orange water can aid digestion. Oranges contain a good amount of fiber (if you eat the zest and pith), which is important for proper digestion. The type of fiber found in oranges can help to keep your digestion regular. Additionally, the vitamin C found in oranges may help to prevent and even potentially aid in remedying colon cancer. While oranges are sweet, they have a rather low glycemic index. This means that they can be a great addition to a weight loss plan, along with a varied diet of whole, nutritious foods (keep it plant-based) and regular exercise. It’s very simple! Start with organic oranges (this is important especially if you’re eating the peel). Squeeze the juice of one or two oranges into a glass of purified water. Then, grate some of the zest into your cup, and stir — add as much or as little as you like. Alternately, you can steep an orange peel in boiling water, and drink when it is cooled, adding a squeeze of fresh juice if you like. Enjoy!